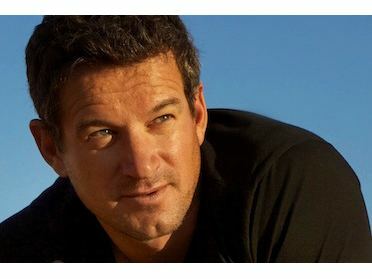 Rudolph Jansen van Vuuren (born 20 September 1972 in Windhoek, Namibia) is a Namibian physician, conservationist and former sportsman. 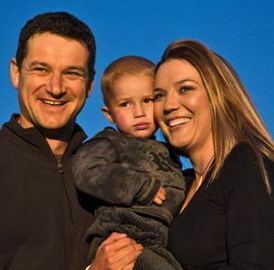 Rudie van Vuuren married Namibian conservationist Marlice van Vuuren in December 2000. Together, they run N/a’an ku sê Wildlife Sanctuary. He is best known for representing his country in both the 2003 Cricket World Cup and the 2003 Rugby Union World Cup; as a result he became the first man to compete in the final stages of world-cup competitions in cricket and rugby union in the same year. 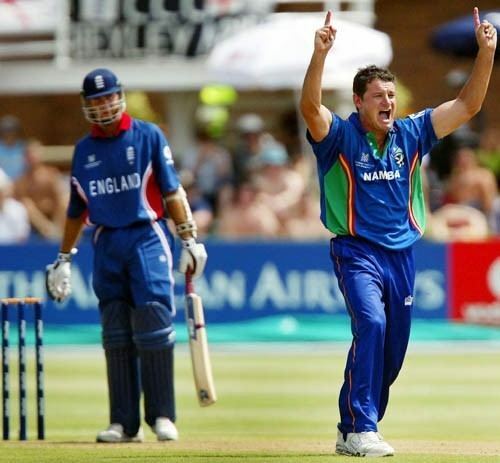 He is the only Namibian to have taken five wickets in a One Day International, which he did against England. In the 2003 Cricket World Cup, Australian Darren Lehmann hit van Vuuren for 28 runs in a single over. At the time, this was more runs than any other bowler had conceded in an over in a World Cup, though this was surpassed when Herschelle Gibbs hit six sixes in one Daan van Bunge over during the 2007 World Cup. In 2004, Marlice and Rudie bought the farm Ovuuyo, 42 km outside of Windhoek to establish their own animal reserve and gave it the name N/a’an ku sê (Naankuse) which means God will protect us. N/a’an ku sê Wildlife Sanctuary opened in 2007.